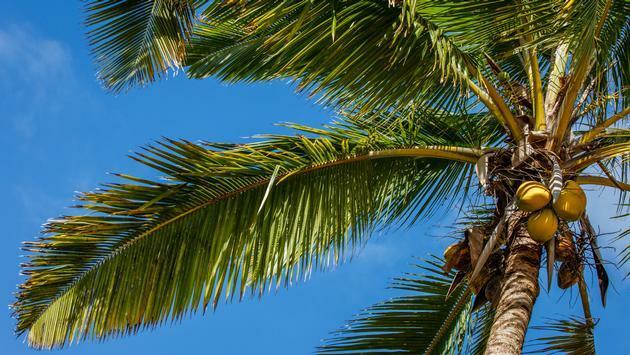 With just one year to go until Ocean Cay MSC Marine Reserve welcomes its first guests, MSC Cruises marked an important milestone in the island’s transformation with the planting of the island’s first trees. Ocean Cay MSC Marine Reserve will transform a former industrial sand extraction site into a flourishing marine reserve and private island destination exclusively for MSC Cruises guests, existing in harmony with the local ecosystem. With uninterrupted 360-degree horizon views of crystal blue waters and some of the most spectacular white-sand beaches in the world, this island paradise will be an unforgettable highlight in MSC Cruises’ Caribbean itineraries. After visiting the island to personally plant one of the inaugural trees, reflecting on the island having entered into the final phase of its transformation, MSC Cruises’ executive chairman Pierfrancesco Vago commented: “It was a very special moment to be on the island together with the team that has been working non-stop on this incredible project to see how our vision is starting to take shape." "Words cannot convey the unbelievable natural beauty of our island, and it is only when you have stood there for yourself, surrounded by nothing but beautiful ocean with nothing else on the horizon, that you can really understand what we are accomplishing here. I can’t wait to welcome in one year’s time our first guests to this truly magical place, a one-of-a-kind island experience that will set new standards for a private island experience in the Caribbean,” Vago added. With the landscaping work underway, over 75,000 native shrubs and plants will be planted, including more than 60 types of indigenous Caribbean trees, grasses, flowers and shrubs to create a lush, tropical environment. Work on over 100 environmentally-friendly structures will soon begin, which will include bars and restaurants as well as housing for employees and staff who will live on the island. Work on the lighthouse will also be underway shortly—set to become an iconic landmark of the island and a focal point of the evening’s entertainment for guests. 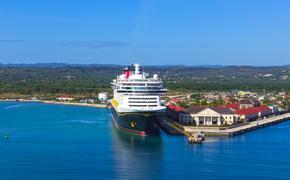 One of the island’s most distinguishing features will be a pier that allows the ship to dock alongside the island so that guests can simply walk on and off at their leisure throughout the day and evening. MSC Cruises has designed each aspect of the island to create an authentic, immersive Bahamian experience that will allow visitors to immerse themselves in this beautiful environment. Among all of this, the stunning ocean access will undoubtedly stand out as the highlight of the island experience. MSC Cruises is in the process of recreating the seabed surrounding the island, which will soon be repopulated with a variety of vibrant marine life. A year from now, guests will have the opportunity to discover the ocean and all of its natural beauty through swimming in the warm shallow waters, snorkeling, diving or taking a boat trip to one of the neighboring deserted cays. During the island’s clean-up, over 500 tons of historic industrial waste and scrap metal have been removed, with the final underwater debris clean-up about to begin. To create a solid foundation, over 500,000 tons of sand and soil have been moved and work has been carried out to shape the island itself. A shallow water lagoon will be created in the center of the island to provide a fun area for families to relax. The island will feature eight world-class beaches each with a different character and ambiance. The beaches are formed from aragonite sand, which is distinguished not only by its stunning white color but also by the key role it plays in the growth of coral reefs by maintaining the pH levels of the water. With the ambition of creating a protected paradise and restoring the natural coral around the island, MSC Cruises is working in close collaboration with environmental auditors, Bahamian environmental experts and other entities to ensure that best practices are followed. Plans are underway for a marine laboratory to be situated on Ocean Cay, which will research climate change-resistant coral in hopes of providing insights to similar island habitats. The Ocean Cay MSC Marine Reserve project has been developed to create a positive long-term impact both on the environment and in the communities of the Bahamas. MSC Cruises has been sourcing materials locally wherever possible, and by project-end, around 800 Bahamians will have been directly and indirectly involved in the construction of the island. Up to 140 Bahamians will be recruited for permanent operational jobs on the island covering a range of different roles including management, technical staff, island attendants, lifeguards and rescue divers. Local vendors will also provide resources for the many shore excursions offered to guests. Solidifying MSC Cruises’ commitment to the Bahamas, the island marks its permanent presence in the region. In restoring Ocean Cay to its former beauty to match the unparalleled beauty of this region, MSC Cruises hopes to further enhance the already positive image of the Bahamas as a must-visit tourist destination throughout the world. Ocean Cay MSC Marine Reserve will open November 2019 with four MSC Cruises ships calling at the island on different days. More information about the guest experience will be revealed in the coming months. SOURCE: MSC Cruises press release.